The Restigouche is known as a private and exclusive river with access to anglers by invitation only. A group of fishermen acquired a salmon camp along with this beautiful stretch of river, now known as the Restigouche River Lodge. The partners have made available these world class Atlantic salmon to all anglers wishing to book a trip at the RRL. Your chances of landing one of these giants are quite good and many of the repeat RRL guests have all put their names in the RRL 30 lb. club. This club boasts over 40 members to date despite not putting many anglers on the water during the first few years of our operation. As the lodge begins to settle into the business, we are starting to book these spring weeks, looking forward to adding more thirty pound plus salmon in the log book. The lodge’s water sits low on the river close to the salt. Salmon entering the river reach this first holding water having never seen a fly. 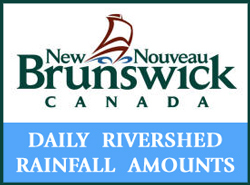 Five miles of exclusive private water with salmon bound for every Restigouche tributary, they all must pass through this very stretch of river. Just think of that thought. The Matapedia and it’s tributary the Causapscal , The Restigouche and her other tributaries, the Upsalquitch, Kedgwick, Patapedia and Gounamitz, yes it is one heck of a river system. This time of the season, fishing on the Restigouche River has also been a well-kept secret only experienced by a few black salmon anglers. 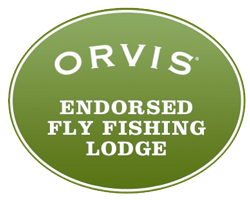 The private camps historically started fishing around mid-June as owners and guests cherry picked their weeks. 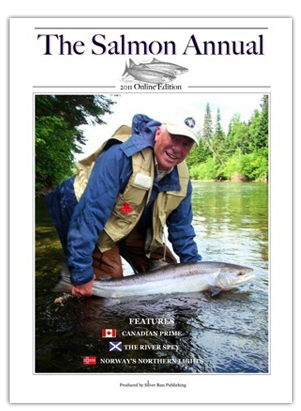 In the spring of 2013 Greg Heister and his Seasons on the Fly program wadded into the Restigouche at the RRL. The filming of this Atlantic salmon video says Heister, “is the best Atlantic salmon video ever made” and why is that Greg? “The big fish,” It’s too bad we didn’t have more cameras running as only half the fish landed were captured on film. Never less this video has helped expose the early run of these specular Atlantic salmon. If you have not had the opportunity to view this video “An Atlantic Salmon Dream.” You can watch it on “Seasons On The Fly” (NBC Sports network) YouTube or at www.restigouchelodge.com/videos it’s a special treat for all anglers.